A few days ago I posted a blog about a simple, fast SEO system for 2nd tier linking using products that can generate hundreds of unique domain links in less than one minute. After reviewing some of the questions we got I decided to create a simple strategy designed to maximize the system and get the most out of it. Ok so let’s go through a session using 301 redirects and social links in a simple system and I will show you how I will be using this. This system should take no more than 15 minutes in total but it is going deeper and taking advantage of being able to use unlimited campaigns with some of the tools I will be using. ​My IM Place SyndicatorCosts $20 Monthly and creates tiered linking with an aged PBN site and Web 2.0 Sites and indexing etc. Links RobotCosts $67 per year Use Coupon Code: special10 for unlimited campaigns and provides instant link reports that we can add to an indexing service.Links Robot creates 301 redirects on 500 unique domains and takes less than 30 seconds to do one campaign. What are 301 redirects?These are using sites that we can piggyback on such as short URL services like bit.ly, goo.gle etc but he has a bunch of foreign sites in here too which is fine as long as this is used ONLY o link to parasite platforms like YouTube etc that we will be using with this strategy.DO NOT use this direct linking to your blog or websites as tier one links! 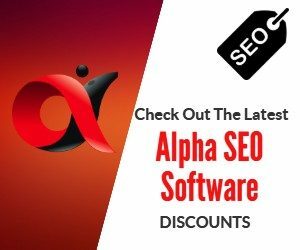 Costs $77 per year Use Coupon Code: save20 for unlimited campaigns and provides instant link reports that we can add to an indexing service. Social Ranker creates links on social sites including some bookmarks and Web 2.0 sites. It uses a large pool of sites to randomize 200 unique domain links with each campaign and you can use unlimited campaigns. There are several options for indexing services from one-hour indexing, identification, Linkindexr which we will be using in this system to keep costs down as its a one time cost. Any indexing service you are subscribed to will be fine but for $47.00 one time cost Linkindexr is good enough for what we are doing here. I start with a YouTube Video. Pinterest is a search engine in its own right and gets 2 billion searches per month, so we want to get our video posted there and we want to add some keywords in the description. Pinterest generates a LOT of traffic, we want to get some of that traffic and if you have a blog, ecom affiliate site then it can be a really useful platform to take advantage of. If you're not familiar with Pinterest then check out some gigs on Fiverr where you can get some experienced folks set up a high-quality account with automated growth and some professional looking Pinterest boards created as well as some other extra options for following and joining group boards etc. This is just some quick tips and not meant to be a deep guide, but Pinterest done properly is worth the investment and is a traffic machine if set up properly. For advanced Pinterest traffic tips and case studies I highly recommend this product from PotPieGirl as she is using this very effectively and she has some pretty awesome tips that you won’t find anywhere else. Once your video is embedded on Pinterest then click on the edit button and use the Pinterest keyword tool exactly the way I show in the video. Do the same now with Blogger. Again if you are short of time you can hire someone on Fiverr to create a great looking blogger blog with a nice template or theme and optimize it for you. Next, post your video on Google plus. Make your Google plus profile look good with header graphics and max it out. If you choose you can automate posting to Google plus and Twitter from the video upload settings when adding a new video on YouTube. Use IM Place Syndicator for the YouTube Video URL Only as we can only do one campaign per day, it takes a minute to do and is easy to use and adds an extra boost to the video which we will be using as a tier one link to a blog post in this example. Link Robot we will use with one campaign for every social post we make. That means in this example 500 links for the Pinterest post, 500 links for the Google site post, Google Plus post and Blogger post in my example. Don't forget to grab your links and ping and index them. Social Ranker, we will do the same, and create one campaign of 200 links for every post we make on each of the social platforms. With Social ranker, we have drip feed options of 2 days or 3 days and we need to wait for the report until it's finished before we can ping and index the links. Do the same with social ranker and links robot campaigns for the YouTube video too. Now you have a system to give you a fast start on sending a few hundred unique domain links to every video you upload to YouTube and taking it further using tiered linking. 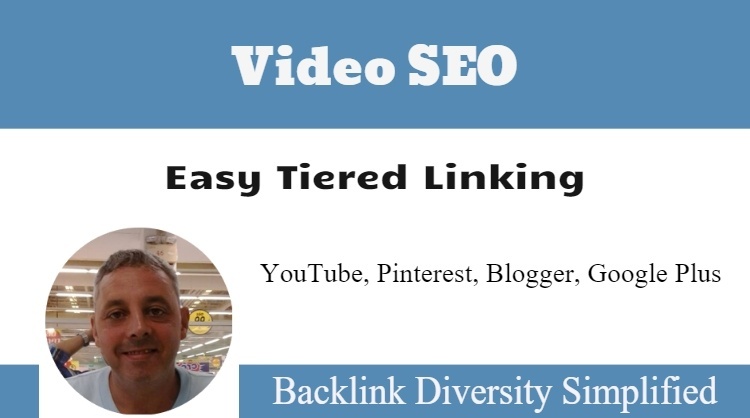 This is not designed to be a complete ranking strategy but it does build some backlink diversity for your Video SEO. if you want to take it further then check out my Rank Attack SEO system which uses a combination of CTR clicks from search engines, high retention video views and 2nd tier links from video sharing sites. I have used this simple system to rank for keywords on demand but it needs to be applied in a specific way as shown in my step by step RankAttack SEO course (which i only make available as a bonus to some promotions from time to time, so keep an eye out for my emails). How To Get A PBN Done For You At LOW Cost!